Philanthropy in India is driven by visuals. When asked why they give, many compassionate individuals speak about what they see: “When I saw the little children asking for food at a signal light…” “When I see that the person who cleans my house doesn’t have proper shoes to wear”. There is so much poverty around that for many givers the instinct is to give where direct results can be seen quickly. It is simpler to send a child to school than to support an organization that monitors the implementation of the Right to Education Act on the ground and provides practical policy recommendations. However, the latter, if done well, has the potential to send not one but millions of children to school and on the path towards viable livelihoods. Though the reasons for philanthropy are very private and personal, India needs philanthropists to think about mobilizing a wider change; and the one roadblock that hampers progress in almost every development sector is governance. The challenges associated with urban governance are the perfect example for this. While India’s geography is largely rural, the country is urbanizing at a rapid rate on the back of accelerated privatization, a surging service economy and infrastructure growth, which have expanded job opportunities, disposable incomes, and ultimately, aspirations. India’s urban areas are witnessing a population explosion. The urban population added 91 million people—more than the populations of Germany or Egypt—in the decade ending in 2011 and grew 2.5 times faster than in rural areas. Currently, the country is severely underprepared for this transition. According to an expert committee constituted by the Ministry of Urban Development, Indian cities will need over INR 50 lakh crore to meet their infrastructure needs over the next 20 years. During 2007-2008, Urban Local Body revenues were barely INR 50,000 crore across the country, accounting for less than 1% of GDP, compared to over 6% in South Africa and over 7% in Brazil, two comparable developing countries. 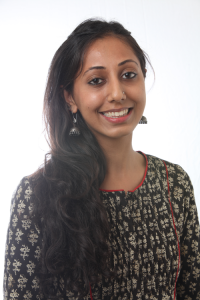 The quality of life issues faced by urban citizens – garbage, traffic, pollution, sanitation – are symptoms of deep-rooted problems of governance within our city-systems. Addressing those problems would need an amalgam of top-down policy changes and bottom-up solutions. Take India’s waste management problem as an example – we have complications at the collection stage, transfer stage and disposal stage – each comes with its own requirement for human resources, accountability and inter-agency coordination. However, none of India’s premier educational institutions have had urban planning as a core subject until 2002 – which partly explains our significant deficits in the know-how and capacity needed to plug these gaps. The word ‘governance’ is often synonymously used to mean government. Governance refers to any process or institution that helps manage and mobilize public services and resources efficiently for the public good. It includes independent media, free and fair elections, an uncompromising and non-discriminatory judicial system, inclusive and progressive policies, a conducive environment for private sector development, and a lot more. The government is an integral part of governance and the onus of improving governance relies equally on all stakeholders: citizens, state, market, civil society, and media. While non-profits and social organizations play their part to address complex issues of education, healthcare, livelihoods, human rights and other critical components of India’s development; governance cuts across all these areas. Neglecting the urgent need to support organizations that strengthen governance would be a huge error. Owing to a lack of deep understanding of governance and its implications, the very word makes most Indians wince. Many organized funders stay away from funding governance because of the risks and negative connotations associated with it – it’s often perceived as being political and messy. This is despite the fact that most non-profit organizations working to improve governance aim to work with government rather than counter to it. The funding landscape in India is changing and the window for foreign money is narrowing. Domestic funding has a large gap to plug. The perceived risk of backlash from government is a big deterrent for most corporates when it comes to investing in organizations that address governance in India. This increases the criticality of philanthropists coming forward to help create much needed change. Dasra has launched a collaborative platform called the Governance Collaborative Fund, which informs and encourages giving to the issue and also helps to diversify risk. The fund will support fifteen to twenty leading organizations over the next five years by providing substantial funds and capacity building support, with an emphasis on investing in institution building and managerial resources. From philanthropists, we require more than just funds – their personal influence, networks and engagement are equally valuable to really ensure that we see impact. Dasra research titled Good to Great: Taking the Governance Leap in India evaluates India’s governance status, and provide solutions that can be led by all stakeholder groups—philanthropists, the private sector, private citizens and non-profits. Better governance requires a movement that today’s philanthropists need to be a part of. It might take several decades to see change, and may be that only our children will see the results, but if we don’t act now, the big and small picture of poverty in India will remain largely frozen in time. SLBConnect is currently live in both program cities of Uttar Pradesh- Rae Bareli and Varanasi. About 35 surveyors are active in both cities collecting data from about 13, 000 households. We are targeting to complete the data collection process by the end of March. 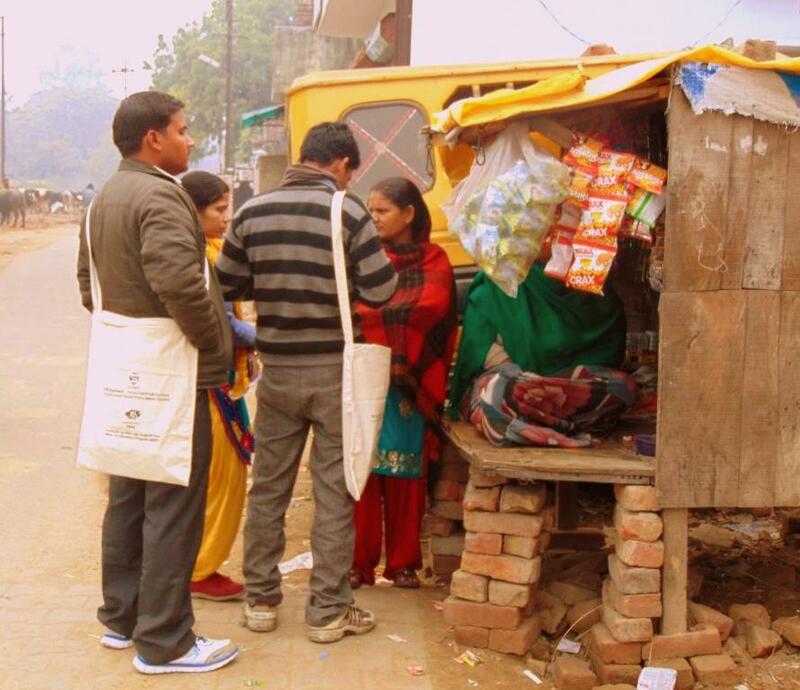 The team is collecting a lot of valuable data on various service aspects on water and sanitation in both cities. These metrics include service quality, frequency, adequacy, billing, ways to lodge service related complaints, if users’ voice gets heard and whether citizens engage with their local governments on service related issues on a regular basis. The data will be analyzed using statistical methods similar to what the government uses to assess service quality of these very same metrics. The difference? We will be presenting the citizen’s view to complement official records to understand gaps and differences. We have quite a few plans and aspiration on ways in which we can use this data in productive tangible ways, but that is the subject of another post. The government has placed handpumps in every neighbourhood. Most residents depend on this as a source of drinking water. Because of the interactions with citizens during the data collection process, our team becomes privy to people’s stories about what these services or its lack means for some lives. I had said a few days back that one of the best things about the SLBConnect survey is the numerous stories it invites you to even if for a short while; and the invaluable insights these stories provide. These stories have stayed with me and continue to guide our understanding when we make sense of data-sets and corresponding graphs. A young girl from Rae Bareli’s squatter colony told me that during festivities, her mother, a domestic help stays out the entire day due to increased work load at the households where she is employed. During these times, the girl and her sisters have to control their bladders and the need to defecate for the entire day since they cannot go out unassisted. In dire situations they check whether the older women from their neighborhoods can assist them. Weak infrastructure regardless, Indian cities are seeing fast growth. And with this comes ubiquitous construction– every direction in which you look there is some form of construction. With this, the open space available for people to defecate has been shrinking. “We can only go before sunrise or after midnight when everyone is sleeping. The rest of the day we have to control,” a young girl told me. Some houses build pit toilets so the women can have a place to defecate safely. I met the parents of four girls during a survey and they me how both were suffering from arthritis but would still walk to the fields to defecate because the pit toilet built in her home was small and they would rather their girls were safe. “No one will harm us; we have neither money nor youth. But our girls can’t go outside that far and in the open. Their safety gets threatened,” was the reason they gave me. I was visiting a village in Purulia for an education project sometime back. There were two community toilets built as part of a government programme. The people told me how it had become a curse because in the absence of a water source nearby it had become a breeding ground for germs and infections. Their grouse “If only the government and contractors listened to us, we would have told them where to build the toilets”. Not knowing the way in which data might be representing the truths tangled in people’s realities affects our understanding and our subsequent decisions. People’s participation (or *citizen engagement*) will take us a long way in bringing out perspectives from the ground in improving services. I am increasingly coming to believe that participation is not enough. It also has to be complemented by persuasion to change people’s behavior. Surveyors talking to residents in trying to assess the area characteristics before doing the neighbourhood survey. I could participate and respond in ways which suit my self-interest (consciously or subconsciously)/awareness about options or even service expectations, but this might not necessarily help always. For instance, in some towns, houses do not want to connect with the main sewerage line because they believe they will be charged for services, something they are unwilling to pay for. But without revenues the government cannot function either. It becomes the classic ‘chicken or egg- which one came first’ problem. And in these aspects, the persuasion factor should certainly play more of a role. Am I being overtly idealistic? I do not know. What I do for sure know is that the jargon we lose ourselves in sometimes arises from real problems faced by people. It is an open question about where participation should end and persuasion begin and one that certainly requires debate. But I am beginning to believe that it is a necessary debate and step. The General Election mandate of May 2014 in favor of single political party has led to articulation of ambitious urban agenda for India that sets forth global aspirations. The smart city terminology occupies a central part of this national urban narrative. It intends to woo neo middle class looking for world class services and instant remedies to existing inefficiencies. In the maiden budget speech in July 2014, the Government pledged an allocation of Rs 7,060 crores for developing 100 smart cities in the country. The announcement has quickly transitioned in local action with several States showing interest to explore the idea further. The link on the Ministry of Urban Development (MoUD) website for smart cities has put together an assortment of concept note, news items and other happenings on the subject. The concept note (carrying a tag of work in progress) lists various definitions of Smart cities used by different organizations and defines its key features. The national agenda for smart cities is quickly percolating in to local politics with enthusiasm. A bit of tweaking would have done some justice to the local context and put aspirations in perspective, but local politics seems to be in a hurry to serve the same menu in the backdrop of national hullabaloo. In November-December2014, elections were held in 278 civic bodies in two phases in Madhya Pradesh. Continuing with its national narrative, the BJP manifestos assured the fulfillment of smart cities with light metro rail, increased coverage of basic services and houses for urban poor. Of 278 civic bodies, the BJP won in 167 urban bodies. Bhopal Municipal Corporation (BMC), reporting a population of 1798218 of which 26% resides in slums went to polls on January 31, 2015 for electing new mayor and 85 councillors. There were 17 candidates contesting for Mayoral position and 456 for councillors in 85 wards. The direct contest for Mayoral position is assumed to be between Kailash Mishra of the Congress and Alok Sharma of the BJP. Continuing with the subsequent victory momentum, the Chief Minister Shivraj Singh Chouhan, has focused significant energies on the mayoral and municipal polls in Bhopal. Active involvement of important State and Regional leaders pepped up the campaign. Development has been the overriding theme in this local election. Both the Mayoral candidates have tried to woo the voters through their intensive “jan sampark” (public contact programmes) and regular updates on face book pages. In the last week to the elections, a detailed manifesto was released by both parties. Although the manifestos were not widely available with the candidates or local party offices, the salient features were shared through local newspapers as well as on social media. The promises in manifestos were mentioned occasionally by candidates in their public speeches, but not widely distributed to voters, rendering them an object of academic analysis than public debate. However inspite of animated campaign, voters in Bhopal registered lowest turnout amongst 9 civic bodies at 56.70% on 31st January. 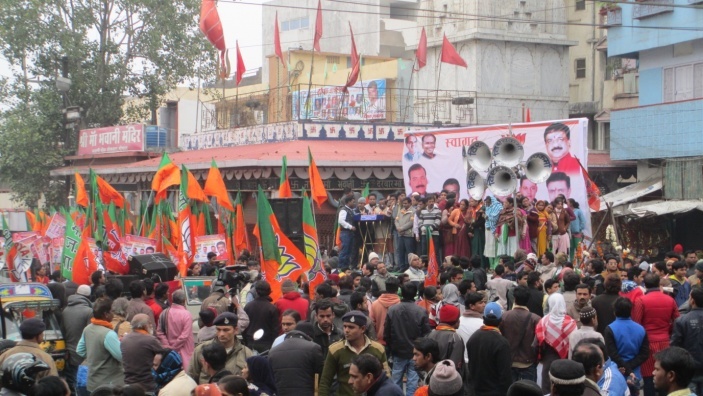 Image 2: A Jan Sampark Sabha by BJP Mayoral candidate at Chowk- Old Bhopal (Source: Author). Clean and Green City commitments were common to both party manifestos and promise citizens toilets, sewerage, better waste collection, treatment and disposal. As per Service level benchmarking (SLB) data gazetted by BMC in 2013-14, only 47% of households in city availed door to door collection service for solid waste. About 81% of households had access to toilets, while only 35% had access to sewerage network. Census 2011 data showed only 40.3% households in BMC had access to sewerage network. The MoUD sanitation ranking for the year 2009-10 designated Bhopal (with a score of 32.497) in red category which indicates “ Cities on the brink of public health and environmental ‘emergency’ and needing immediate remedial action”. The National Green Tribunal has been repeatedly alerting the city as the solitary river Kaliyasot is battling serious pollution by growing encroachment and disposal of sewage from nearby residential and commercial establishments. Recent agitations by people in newly merged areas of BMC related to proper collection and disposal of solid waste have also reached National Tribunal. Both parties have promised adequate water to all citizens as per requirement and making Narmada water available to every household. As per 2013-14 SLB data, only 58% of households in the city had a water supply connection and they received 150 LPCD (liters per capita per day) of water for 1-2 hours in a day. Only 15% of water connections were metered and non revenue water accounted to 28%. The cost recovery for water supply charges was found abysmally low at 40%. The gap in access to water supply was also confirmed by Census 2011 results, which showed BMC with 65.9% of households connected to treated tap water supply. For Kolar Municipality (recently merged in BMC) the number was abysmally low at 5.3%. In both cases, less than 55% of households had water supply source located with premises. Within this context, it is interesting to note the Congress manifesto which promises 24×7 water supply. Benefits of the ambitious Narmada Water Supply project, constructed under JNNURM have been delayed in Bhopal and witnessed protests due to higher water charges. For the newly merged rural and urban areas, the political parties promise access to adequate water without detailing out the blue print. Kolar Municipality (comprising of wards 80 to 84) has added 77,424 new voters who were promised adequate water, sanitation, solid waste collection and public transport services on the brink of elections. Both manifestos placed high importance of transportation and have ensured commitment to model roads, flyovers, foot over bridges for the next decade. Global aspirations like light metro rail figures in commitments of both parties. To cater to needs of commercial areas, contestants have offered solutions like individual multilevel parking projects while the city still lacks a comprehensive plan for parking that can consider long term planning, land requirements and work out a feasible model to recover costs. On the front of urban poor, the solutions offered are age old. Housing for urban poor under CMs housing scheme, basic services to all slum settlements and Public Private Partnership (PPP) mode for slum redevelopment are offered by BJP manifesto. The Congress manifesto offers to simplify rules for regularisation of 1000 illegal colonies to be able to reach them with basic infrastructure services. On employment opportunities, there are unexciting ideas like market spaces for unemployed youth who can initiate small business in these areas in one and generic commitments to establishing urban resource centers and skill centers in other. City wide Wi-Fi has been proposed by both parties as a pre requisite to Global infrastructure. One will have to wait and see if and how fast the ambitious manifestos and charged terminology actually translate in to local action. In the process, it may be useful to consider that successful smart cities will owe far more of its success to finding new ways of doing routine things like managing water, waste, street lights, vehicular traffic and existing services with minimum resources. It will not necessarily benefit only from building new infrastructure or expanding our cities endlessly, but will have to look at new ways and arrangements of providing old services. While good gadgetry and digitisation may help achieve efficiency, it will not replace the need for good governance, equipped staff, institutional accountability and prudence of the citizens. For instance, the newly formed Telengana State has already started talks with Dubai for establishing smart city in Hyderabad. India and United States recently signed three Memoranda of Understandings (MoUs) to develop Allahabad, Ajmer, and Visakhapatnam as smart cities. Several countries like Japan, Germany, Sweden, Singapore, Israel, UK, US, Hong Kong and the Netherlands besides MNCs have expressed interest in building smart cities in India. The concept note defines Smart Cities as those which have smart (intelligent) physical, social, institutional and economic infrastructure while ensuring centrality of citizens in a sustainable environment. It expects a Smart City to generate options for all residents to pursue their livelihoods and interests meaningfully and with joy. Congress Mayoral candidate, in his election campaigns flaunted vision for clean, green and hi-tech Bhopal. BJP Mayoral candidate pitched for making Bhopal a world class city. The BJP manifesto had distinct sections on clean, green, smart, lake, heritage, digital and light metro city. It also had separate commitments for each of 6 Vidhan Sabha Constituencies. The design prepared for light metro published in a local newspaper in December 2014 included 80 km track with a mix of underground, surface and elevated tracks. A detailed report is expected to be ready by January 2015. A day in RAE BARELI………. I had a chance to visit Rae Bareli for the first time. Rae Bareli is a constituency of Sonia Gandhi and has been the constituency of Gandhi family for many decades. Naturally, I was very much excited and was expecting to see a model constituency. The city has well known institutes like NIFT, AIIMS, Rajiv Gandhi Institute of Petroleum Technology, NIPER, Feroze Gandhi Institute of Engineering and Technology, Feroze Gandhi College etc. and many other colleges named after Gandhi family. Another visible ‘development’ is the connectivity to Lucknow through Lucknow – Rae Bareli highway. However, when I visited these localities within Rae Bareli the experience was shocking. The local transportation is very unwelcoming with broken buses. Living in Delhi we are used to seeing landmarks and directions for different areas but perhaps expecting such a thing in Rae Bareli is a luxury. The city continues to have Horse Drawn Carriages as an important source of transportation. There are no autos. Quality of hotels in the area is much below standards as expected in any normal small town. If you do not have a cab or a local person with you it is impossible to move around the city. In spite of being a politically important place and having many educational institutes we could not find places which could be visited for relaxation. Another interesting observation was that very few girls were found on the city roads. 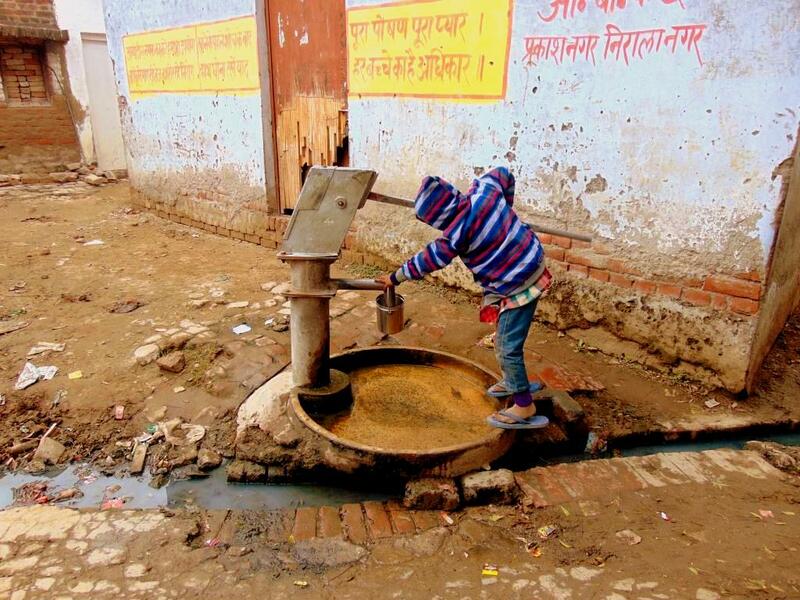 The city has umpteen number of handpumps found every 300-400 meters which is the major source of water for drinking. Ironically the Piped Water Connections inside the household deliver poor quality of water. The piped water is not fit for drinking hence leading to several illnesses. That is why this water becomes a source for “water used for non-potable purposes”. The city has a sewage issue. Every side of the road, dirty water is stagnated. The whole city lacks a lot of such basic amentias which portray a different view of the city than what one would expect from such a politically important place. Rae Bareli is an eye opener for the development illness it is suffering. According to UNICEF, nearly 50% of India’s population defecates in the open. 37 million from India’s cities resort to open defecation which is about 12% of India’s urban households. The situation is worse in smaller cities (population<100,000) with open defecation at around 22%. My experience from the field while working on SLBConnect tells me that most people do understand that these are important services. During field work, many have told me how unfair it is that they don’t have access to clean water or that even where toilets have been made, there is no water connections/source close by. There have been quite a few awareness raising campaigns in the last decade and these seemed to have worked. In many small towns and cities, more than half the houses are not connected to sewerage facilities either because there are no sewerage connections close by, or because their households haven’t been connected to the main city sewerage network. In some towns, houses do not want to connect with the main sewerage line because they believe they will be charged for services, something they are unwilling to pay for. 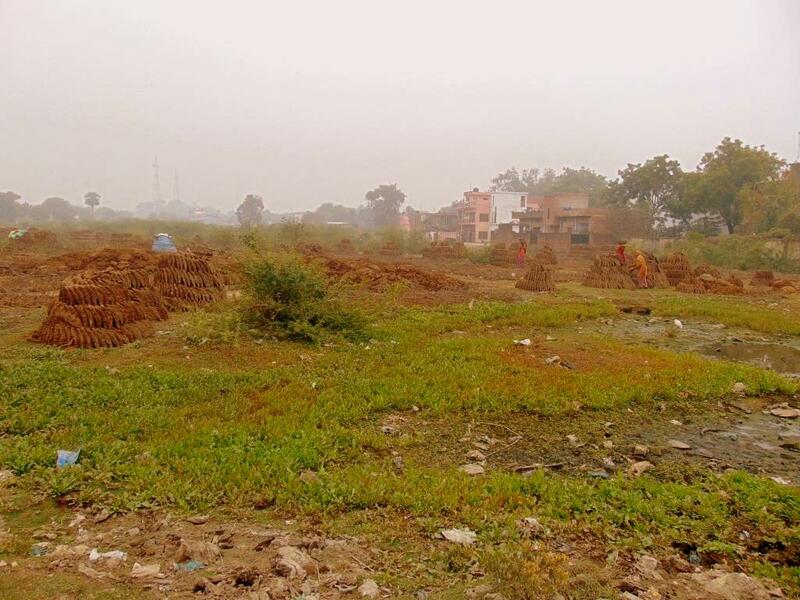 In the cities we are in the process of surveying- Ajmer, Jhunjhunu and Rae Bareli- the urban poor living in squatter colonies have dug pit toilets or arranged for soak pits and other such way of discharging waste water since their houses are not covered by sewerage networks. Not every can afford to do so though. Some houses are too small to support pit toilets since these need constant cleaning otherwise feces starts piling high and the houses start smelling and becoming unhygienic. Only the young girls of the house use these pit toilets for the sake of their safety, the others go out in the open. Not everyone owns a residential space big enough to have soak pits either. There is also the population of urban poor living in non-notified and unauthorized slums. To put it simply non-notified and unauthorized slums are those slums which are not recognized by the State. This means that residents have no claim on any service- water, sanitation, electricity etc. These are people literally in a no man’s land. They do not own the houses they live in, the utensils are not theirs, nor the clothes, nor anything else. These can be razed, burnt, thrown, taken without any legal implications. Come monsoon, houses get washed away, and then plastic covers and mud houses emerge again out of the slush like sprouting mushrooms. Every monsoon. No sanitation either. So people defecate in the open and there is no way to clean the place. When you are in no man’s land nothing belongs to you, and nothing possibly can. In this piece of land you are the mercy of others. What can you possibly claim here? Just building scattered toilets will not work and cannot work. Unless these basic infrastructure issues are addressed along with the necessary behavior change, an open defecation free India will remain a distant dream and the content of mere rhetoric. No matter which region or state or socio-economic strata one visits, the plight of women remains the same. The only variation is that they face the brunt of all these socially ascribed roles in a different cultural setting. As part of the SLB connect program which aims at engaging citizens in collecting, analysing and communicating feedback to service providers through mobile technology based survey, I got the chance to visit some of the districts of Rajasthan, where our team visited both formal and informal settlements. I was quite excited to be exposed to new dynamics of these areas. Although after talking to the women from the community I realised that other than the change in cultural and socio-economic status, the role of women in the community remains the same. She is the one responsible for accession and management of resources required to run a household and ensure proper functioning of the household. These women put in substantial time and effort in organising such things. 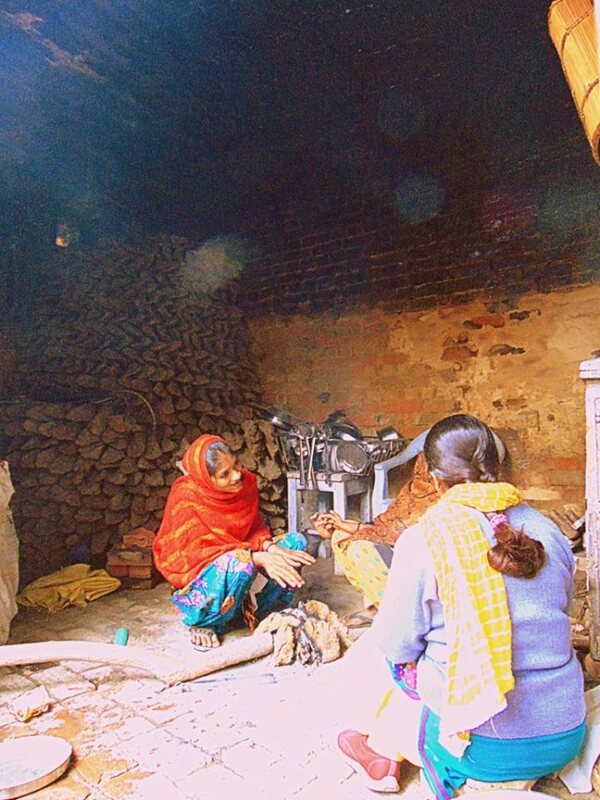 The economic status of the household might help her fulfilling these roles, which also means that it is the poor women who are more vulnerable due to diminishing resource availability. It is estimated that one fourth of the urban Indian population is poor. The poor who cannot afford adequate housing for themselves live in different types of urban poor settlements where they have limited access to basic services such as reliable water supply and clean sanitation facilities. As per Urban Poverty Report 2009, urban poverty in India is over 25 percent; some 81 million people live in urban areas surviving on incomes that are below the poverty line. 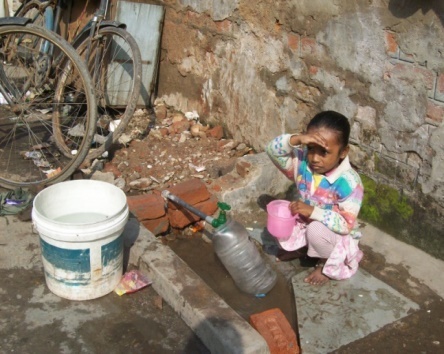 Women residing in these informal settlements face challenges with lack of proper water and sanitation facilities. They spend quality time and a large portion of their monthly income in accessing them. It is they who are impacted most due to their socially ascribed roles and responsibilities for attainment and management of resources and services such as water and sanitation. This takes a toll on the time they can spend on income generation and other productive activities. Sapna one of the residents from phoos ka bangla, an informal settlement in Jaipur pointed out that she spends 2-3 hrs daily in accessing and managing water. She mentioned that at times she is forced to take help from her daughter in acquiring water for the entire family. In spite of all her efforts to ensure that her daughter’s education doesn’t suffer, at times Sapna has to let her daughter miss out on school so that she can help her with household chores specially collecting water for the family. It has become routine that women and children (especially girls) end up wasting their productive time in managing basic amenities, which if readily available will help in saving time, which can further be used in economically productive activities. It’s not just income that these women lose out on, women are even cutting down on leisure activities, child care, girls are missing out on education and career development, which are important aspects in leading a healthy and holistic life. Moreover many women report incidents of eve-teasing on their way to water sources. They are subjected to lot of humiliation and insensitivity, with hardly any assistance from the family members. It’s not just the scarce quantity of water but even the deteriorated quality of water that manifests its impact on women’s life. Deteriorated water quality is one of the major causing agents of diseases in our country. As more family members fall ill, the care-providing burden manifests itself. Women pay physical, psychological and economic toll in order to fulfill the socially ascribed responsibility of fetching and managing water. With the increasing stress on water resources this manifestation of gender inequality may further exacerbate the existing gender inequalities in society. Several steps, including institutional, financial and behavioral changes are required to ensure safe and easy access to water supply. Moreover, the gender perspective of the problem needs to be understood as women suffer the most as a result of the problems arising due to lack of access to water. Living anywhere in the world has its own ups and downs, whether it’s a metropolitan city where we have infrastructure, opportunities, traffic, and stress, or a village, where there is no infrastructure, no traffic, but proximity to nature and environment. It depends on how and where we want to spend our lives. Development with technology is a very attractive phenomenon. It keeps us involved and busy with our lives, but has always struck with a direct effect on nature, environment and our health. Today, when nature is looking back at us with vengeance, we are coming up with innovative ideas for development that claim to least effect our environment with increased human comfort. Smart city is one such concept. Let’s get to the definition and characteristics of a smart city, A smart city uses digital technologies to enhance performance and wellbeing, to reduce costs and resource consumption, and to engage more effectively and actively with its citizens. It creates its own water source with the help of rain water harvesting techniques, electricity with the help of solar panels and windmills. Smart homes and smart offices will generate and use its own electricity, and will use smart technology and appliances that consume lesser electricity and are smart enough to automatically switch to power savings mode. With smart governance everything will be connected and can be monitored with the help of sensors and internet with the click of a mouse, thus saving a whole lot of human effort. People will use eco-friendly vehicles and public transport to commute. With innovations such as Smart Phones, GPS tracking, parking space locater, our transit systems will become more comfortable and reliable. The ultimate aim of a smart city is to make our lives more simple and our development more sustainable. Now, imagine a Monday morning rush hour scenario outside your neighbourhood where all the traffic lights are green with a Boeing 777 waiting outside. Such was depicted in a famous Hollywood movie where a Firecell devastated the entire financial, transportation and defence systems of a whole country. All these concepts of smart city look really tempting and promising on paper although there practicality and sustainability is questionable. History has shown that such ideas usually crumble beneath their own weight when abused by human nature and behaviour. With the ever increasing population and our growing dependence on technology, will such “smart” cities be able to provide infrastructure and resources as and where required, will the network bandwidth not choke with a majority of population online, will the government and utility systems not collapse as a result of vulnerable internet backbones, will the “Cloud” not burst under the weight of its own information are questions that remain unanswered. These smart cities aren’t just some far off futuristic abstract twinkling in the New World Order’s eyes, these are being built as you read this paper. Think privacy and freedom are limited commodities now? Try having either of those things living in a smart city control grid where everything you do is tracked, traced, chipped and monitored. There isn’t enough manmade global warming hoax propaganda and green guilt in the whole wide universe that should make any of us want to step one foot into this Orwellian nightmare! Think about those dumb down brain dead citizens trapped in a smart city producing stuff that is not required or Robots doing your daily household with power sources capable of auto-generation and protocols that can be changed with a laptop. Compassion lives or dies in human heart. Compassion can’t be forced. Yes, we are interconnected naturally but I don’t think that we can compare that given interconnectedness to a man-made technological “smart” connection of all things and humans because the man-made one reduces you to the level of a machine. Machines don’t have a soul, feelings, intuitions, can’t be compassionate, can’t pray and can’t be aware of signs and miracles. Machines are dead matter which process information. I could be wrong but prevention is better than cure. I write to explore the solutions by going back to our roots and traditional know how. This indigenous knowledge has helped our human race sustain for ages. Smart cities will be smart only when people learn to live peacefully, with limited resources and live in harmony with nature. In order to do so, there is an imperative need to enhance capacity of people not only in terms of technology but awareness and knowledge about the burgeoning issues pertaining to sustainable development.